Development of the design involved careful consideration of the existing site and collaboration with a marine engineer to meet the brief. The footprint is proportionate to the body of water and ensures freedom of movement for ducks and swans. The scheme provides increased biodiversity, aesthetic interest and high-quality public amenity space. 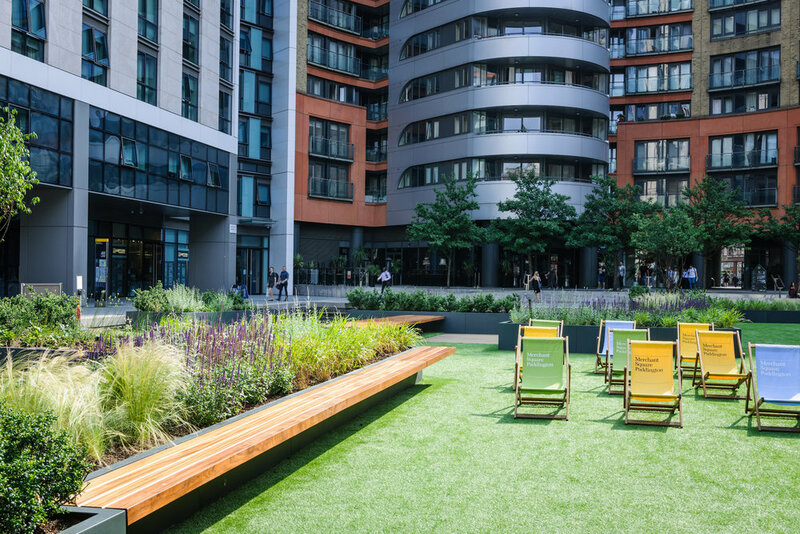 The floating pocket park is cohesive with its surroundings and great attention has been paid to the way in which people will relate to the space. Raised planters, hardwood benches, decking, an artificial lawn, lighting and hardy planting ensure that the park delights visitors by encouraging interaction with the water and give a range of colours and scents. There is a combination of secluded planted areas along with larger open spaces for events and bigger crowds.